Greg Berlanti is no stranger to connected superhero fare, having created and executive produced the likes of Arrow, The Flash, DC’s Legends of Tomorrow and Supergirl, which all share a continuity on The CW. 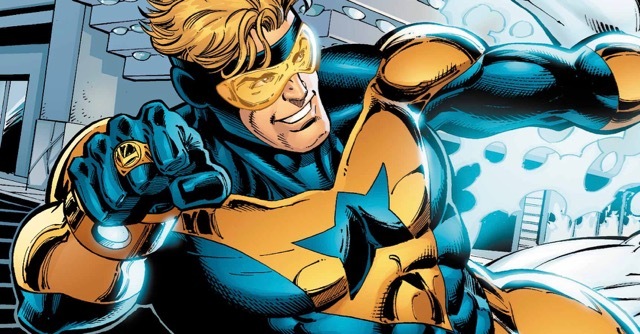 Berlanti previously confirmed his involvement in bringing Booster Gold to life for Warner Bros, albeit on the big screen and not on television. But now, in an interview with Vulture, he confirms the film is standalone and not part of the larger DC Extended Universe. Currently Berlanti is only attached to produce the feature adaptation, but he has hinted previously he would also like to direct the film. It was just announced yesterday that his next directorial effort will be the feature adaptation of Simon vs the Homo Sapiens Agenda. Zack Stentz, who co-wrote X-Men: First Class, Thor, Power Rangers, and an episode of The Flash, has penned the script for the feature film which was rumored to be a “buddy cop superhero movie” starring Booster Gold and Blue Beetle.